A warning has been issued to citizens of Haiti against all non essential travel to the United States especially considering the current situation prevailing there. In Washington D.C. the highest number of hate crimes has been committed. To respond to emergencies or crimes, the local authorities have limited abilities in certain areas. Shootings on a mass scale, gun violence, depression at high rate, ADD or Attention Deficit Disorder and epidemic rates of people getting overweight, etc are on the rise in the US. Citizens of Haiti are urged to exercise caution while visiting US. 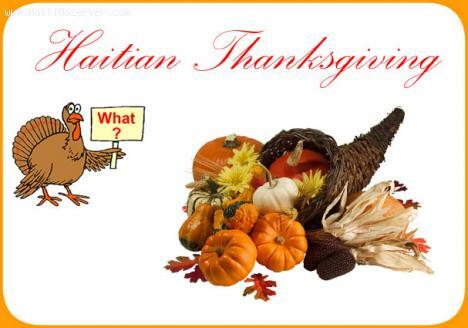 Thanksgiving Day is not just for Americans because Haitians have their own ways of celebrating it too. While Thanksgiving is a national holiday in the United States, there are people from the Caribbean and Haiti in particular who have adopted this American tradition. Just like Americans, Haitian families all over the world take the opportunity of the Thanksgiving Holiday to be with each other. Many of them have big turkey dinners and watch sports among other things. The only difference is that they add a Caribbean touch and flavor to their celebration in the form of food. Many people from the U.S. with Caribbean roots, do celebrate with their own special menus for the occasion. They are the foods commonly served at Thanksgiving, but with an island flare. Thanksgiving Day is not just for Americans because Haitians have their own ways of celebrating it too. While Thanksgiving is a national holiday in the United States, there are people from Caribbean and Haitian families that celebrate as well. However, they add a Caribbean touch and flavor to their celebration in the form of food. 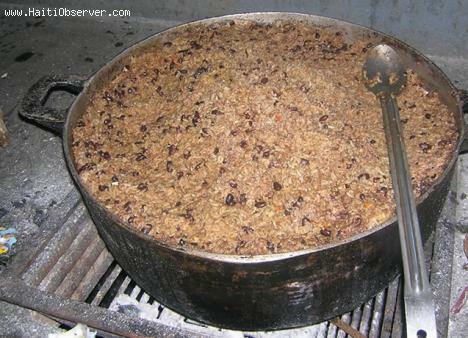 There are various Haitian food that are popular for Thanksgiving. 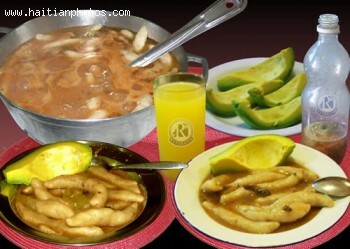 Among these are Diri ak djon jdon, Haitian Griot and Pikliz. Haiti is still reeling from the impact of Hurricane Sandy, which damaged a large amount of crops and agriculture produce in the country. According to reports, floods covered almost the entire southern part of the country. This means that not only houses are affected but also crop and livestock farms. As a matter of fact, officials are now worried that losses in crop production can lead to food shortages. 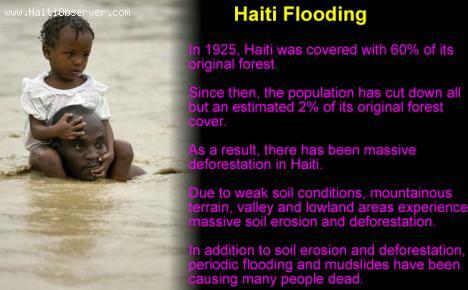 Disasters such as floods are not uncommon in Haiti and this is the reason why people, particularly farmers, should always be prepared. However, it is not everytime that farmers have enough time to keep their farms safe from floods. In this case, one must know how to deal with the floods' effects on their farm goods. Barbancourt is a popular rum produced in Haiti, considered one of the premier rums manufactured on the globe. French cognac maker, Dupré Barbancourt, came to Haiti and began rum production in 1862. Four generations of Barbancourts have run the family empire, beginning with Nathalie Gardère, Barbancourt's widow. She managed the operation along with Paul Gardère, her nephew, until her death. He took over production until he passed away in 1946. Surviving son, Jean Gardère, headed the operation until he passed in 1990. His son, Thierry Gardère, has been leading the company ever since. By 1949, the Barbancourt Company had moved operations to the sugar cane plantation, Domaine Barbancourt, in the Plaine du Cul-de-Sac area. In the early 1950s, the profitable operation increased production, making the company a prominent manufacturer of premium rums. There might come a time that you will have dinner with Haitian clients or business associates. 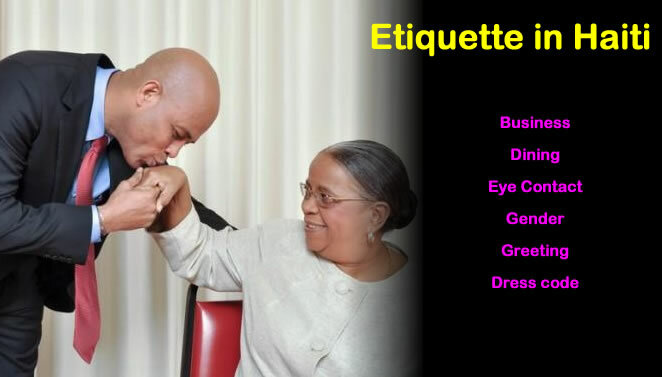 When this happens, make sure that you know the table etiquette that Haitians carefully observe. Remember that Haitians take dining etiquette very seriously because it is an honor for them to invite people to their table. What more if you are dining with business partners and clients, right? First of all, do not go to a dinner and social event in a casual dress. Make sure to dress properly. Avoid wearing jeans and rubber shoes. Instead, show up in a semi-formal attire. If it is a high-end event, make sure that you follow the dress code. In case you do not know the dress code, it is advisable to ask the hosts rather than show up in just about any attire. 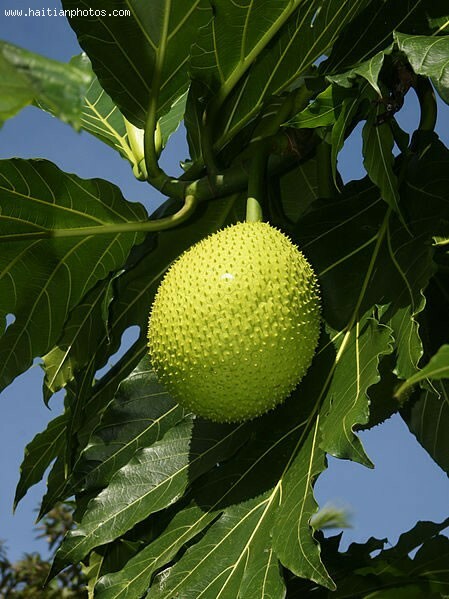 Breadfruit is a fruit of the mulberry-tree family, and is associated with other fruits grown in tropic countries such as breadnut, jackfruit, and figs, among other tropic fruit varieties. Its growing season stretches from May to September. Its name is derived from the fact that when baked, it turns bread-like in color and mouth-feel. Considered a staple in Haiti, it is similar to rice, plantain, and coconut, also considered staples, and grown in other tropic climates. Breadfruit, calorie-rich, contains carbohydrates, protein, vitamins, minerals, electrolytes, and phyto nutrients. As the fruit ripens, it releases fructose and glucose sugars. Good for the intestinal tract, it decreases cholesterol, and helps to prevent colon cancer. It contains anti-oxidant properties such as xanthin and vitamin C, with high levels of B-complex, most notably niacin. Coffee used to be Haiti's main agricultural industry; the country is also one of the Caribbean's oldest and original coffee producers. Yet Haitian coffee has been overlooked and unrecognized in the world market. This is due to the difficulty in entering Haitian coffee to the international market, as well as the lack of benefits given to local coffee growers, thus a decline in local production. But recently, new light and hope has been given to the country's declining coffee industry. The Haitian government, in partnership with Saint Thomas University, launched the Café COCANO Fair-Trade Coffee Project five years ago and has since been able to help boost Haiti's coffee market and assist local farmers in production and compensation. This project is also in partnership with the Cafeiere et Cacouyere du Nord' Ouest Coffee Cooperative, Pascucci Torrefazione, an Italian coffee roaster, and the University's Center for Peace and Justice. 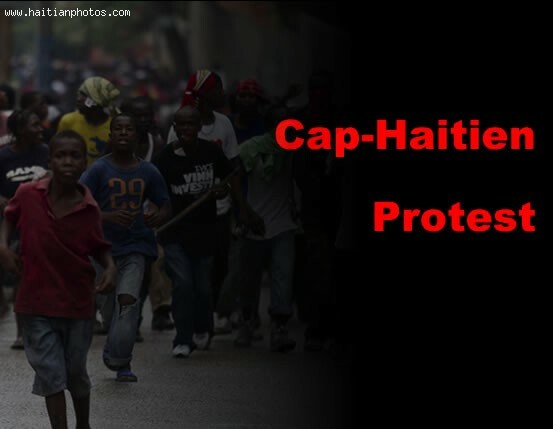 On Friday, September 21, 2012, thousands of people took to streets in the second city of Haiti, Cap-Haitian, to demonstrate against Martelly - Lamothe government. Barricades made of tires, stones and garbage were erected in several areas of the city. Traffic was difficult in many areas and in the neighborhood of La Fossettete and Cite Lescot where the tires were burning, impossible. The people demonstrating were throwing slogans to show their dissatisfaction with the current policy of the government. They chanted against recent increase in food price and government corruption. Some of the people in the crowd were asking for Martelly to leave the government.